BERSIH...Do you think Malaysia's ruling coalition is clean? If you do, you are probably the dumbest or most naive person on this earth. If you ever wished you could drive with faux pride in your cute little unsafe Kancil, and still think you look cool. Hmmm...maybe you ought to look elsewhere where driving isn't needed. 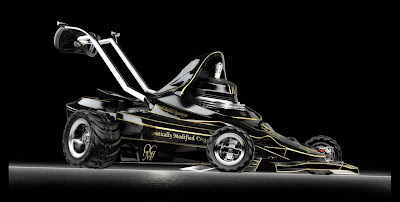 Maybe handling a lawn mower which look like an F1 car driven by The Schumacher will give you the ego boost.